Looking for a fun, delicious, clean eating snack that the whole family will LOVE? Try this! 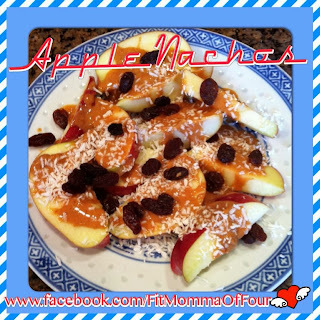 Slice your favorite apple into thin slices - we love gala apples. Drizzle one Tablespoon all-natural peanut butter over top. Sprinkle one Tablespoon unsweetened coconut flakes & about 1/4 cup raisins on top. Quick, easy, clean, & DELICIOUS!! Want some more clean eating recipes? Click here!